The key to a crisp-looking dress shirt is a collar that stays in place. Metal collar stays offer the ultimate in refinement, maintaining their shape perfectly over time. 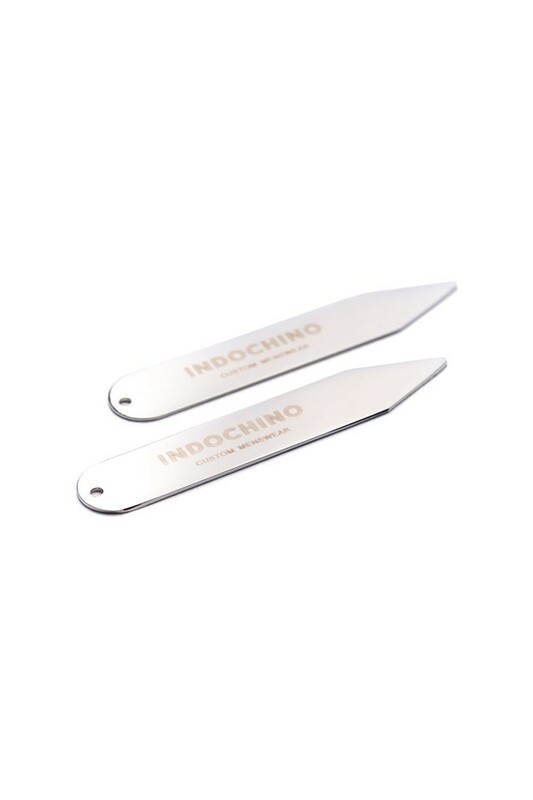 Made from silver-plated copper and laser engraved with the Indochino logo, these are an essential accessory to always have on hand.